Daughter bought a brand new I phone six. She got a screen protector along and beautiful phone cover as well. She showed her new phone to her dad and the conversation is as follows..
Dad: this is a nice phone. How much did you pay for it? Daughter: it’s 700 dollars for the phone, 20 dollars for the phone cover, 5 dollars for the screen protector. Dad: oh why did you get the screen protector and the phone cover, you could have saved 25 dollars. Daughter: dad! I’ve spent 700 dollars on my phone whats the point if I don’t spend 25 dollars for its safety? And more over this cover makes my phone look beautiful. Dad: is it not an insult to the apple company that it did not make the phone safe enough? Daughter: no dad! They in fact recommend us to get the screen protector and the phone cover for its safety. And I dint want it to get damaged. Dad: does it reduce the beauty of the phone? Daughter: no it doesn’t. It makes my phone look more beautiful. Dad looked at his daughter and smiled lovingly. And said, my daughter you know I love you, you paid 700 dollars for a phone and you spent 25 dollars for its safety. 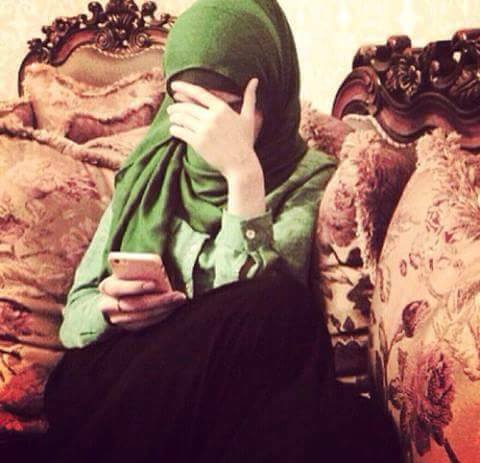 I’ve paid my life on you and what is the point If you do not cover yourself with hijab for your own safety. This phone will not be questioned on aakhirath but my daughter you and me will be questioned..
Sheikh Dr. Yasir Qadhi – Do You Want Your Dua’s To Be Accepted?